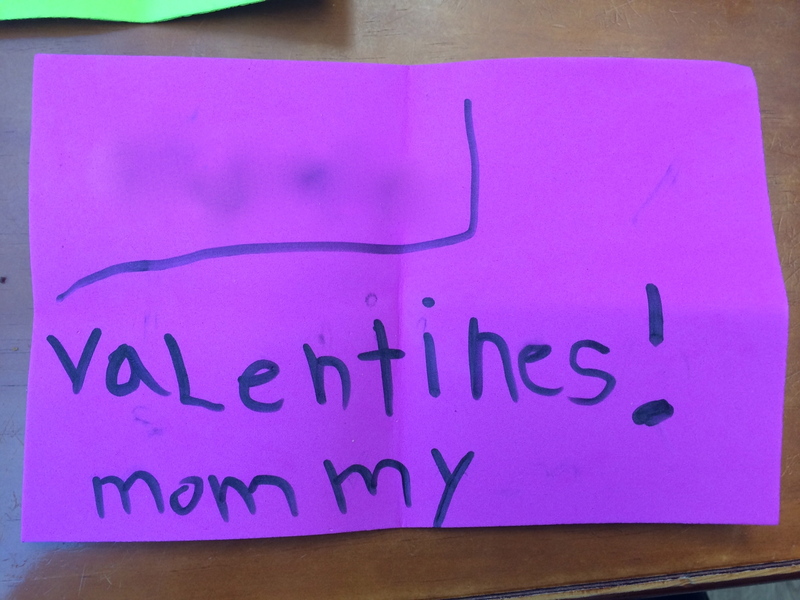 With Valentine’s Day coming up, the older two kids have been working on their cards for their classmates. Daughter got it in her head that I have to make heart-shaped cookies for her entire class. She has reminded me every day this week. This morning I received another reminder in the form of a note. She wrote it so I wouldn’t forget to go to the local Bulk Barn and look for a cookie cutter in the shape of a heart. Her brother then decided he had to write me a note as well (keep in mind this all went down while I was struggling to get their coats and boots on as we were running late, again!). 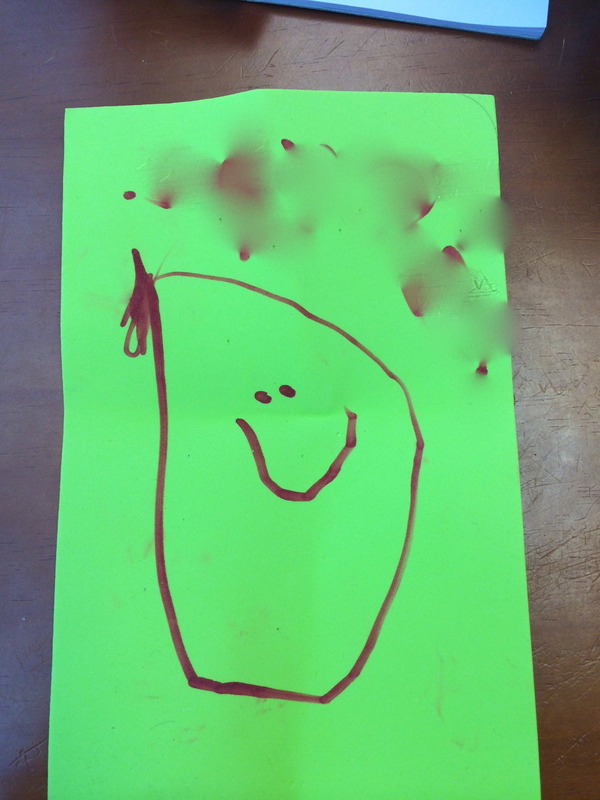 He will be 4 years old in April and has only been drawing consistently for a few months. This is only the second smiley face he’s drawn and I am completely in love with it. So now I must do my duty and get everything I need to make vanilla cookies tonight. They turned out great! See my post on FB.